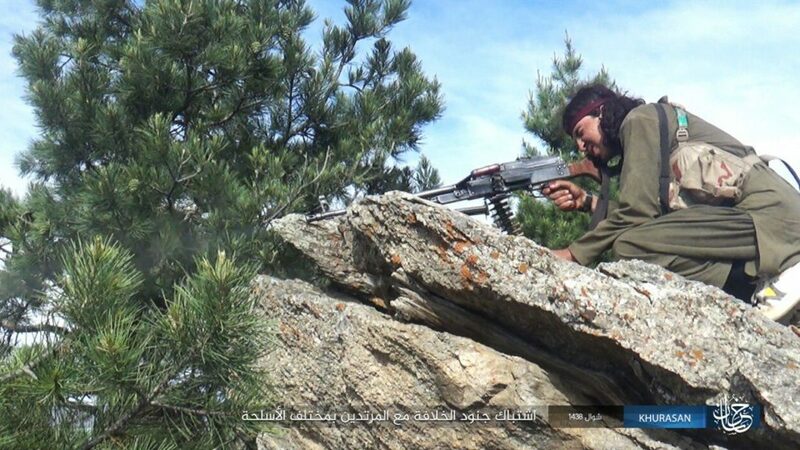 A photo released by the Islamic State’s Wilayah Khorasan from the Tora Bora Mountains. 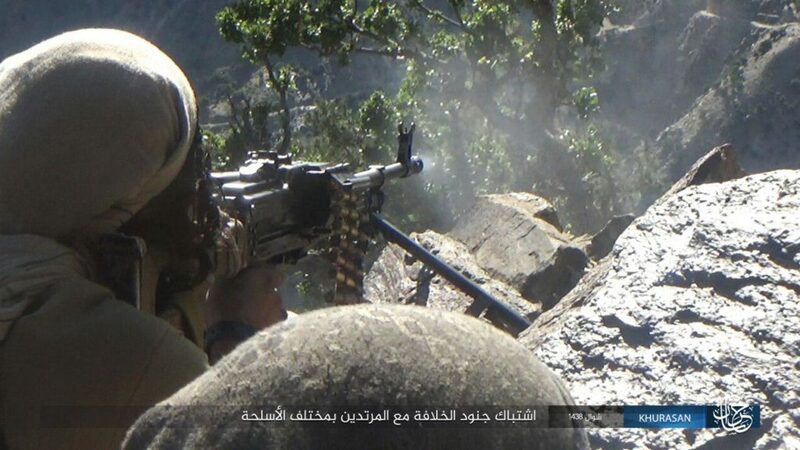 The Islamic State’s Wilayah Khorasan (or Khorasan province) has released a new set of photos documenting its battles against the Taliban in the Tora Bora Mountains and the nearby area. The region garnered worldwide attention in late 2001, after Osama bin Laden and many of his men retreated to an al Qaeda base in the mountains. It could have been bin Laden’s last stand, but the al Qaeda founder escaped and continued to manage an international network of subordinates until early May 2011, when he was finally killed in Abbottabad, Pakistan. 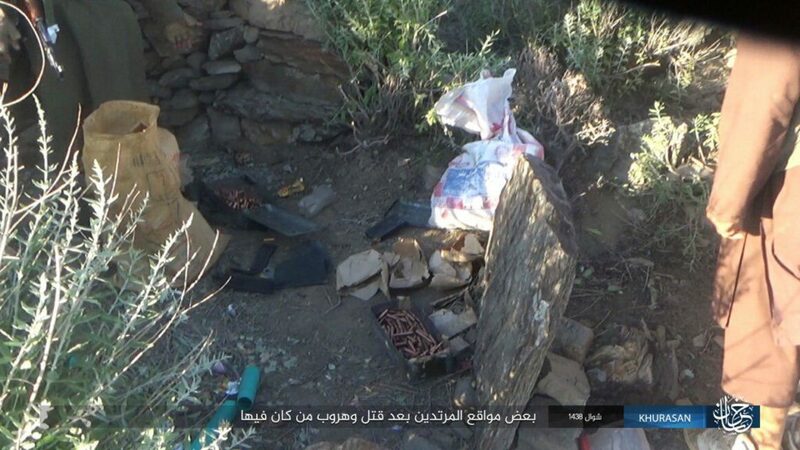 In June, press reports indicated that Wilayah Khorasan had captured bin Laden’s cave complex in Tora Bora from the Taliban. It was a supposedly high-profile win for Baghdadi’s men at a time when they are losing ground in Afghanistan, Iraq and Syria. CBS News cited a broadcast in Pashto on the so-called caliphate’s local radio station, which trumpeted the territorial gain. In mid-June, the Islamic State’s Naba magazine also carried an article on the campaign. 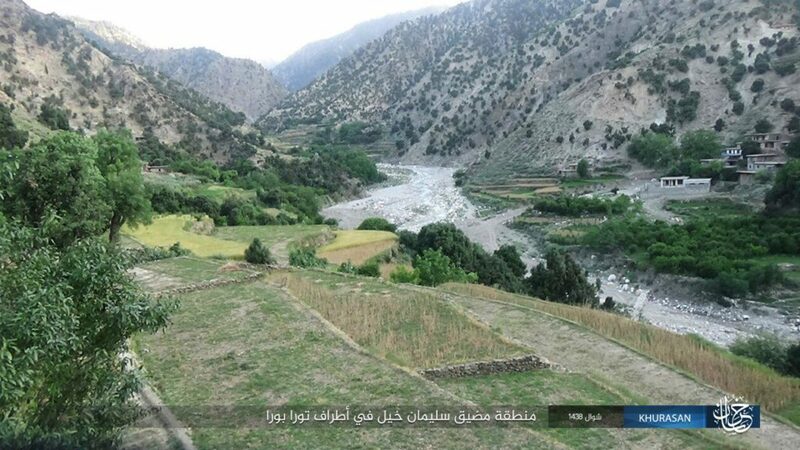 Naba claimed that Wilayah Khorasan’s members sought to dispel any misgivings about their intentions after the Taliban had previously warned people in the area about the self-declared caliphate. 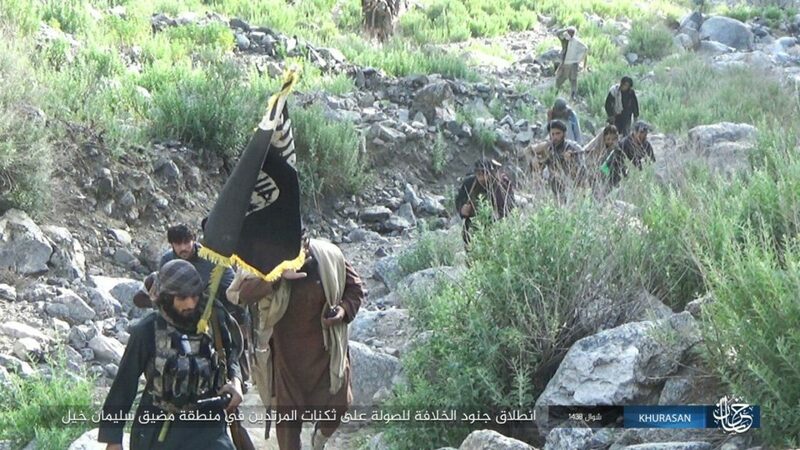 The Taliban denied that Abu Bakr al Baghdadi’s loyalists held the ground in Tora Bora, according to press reports. 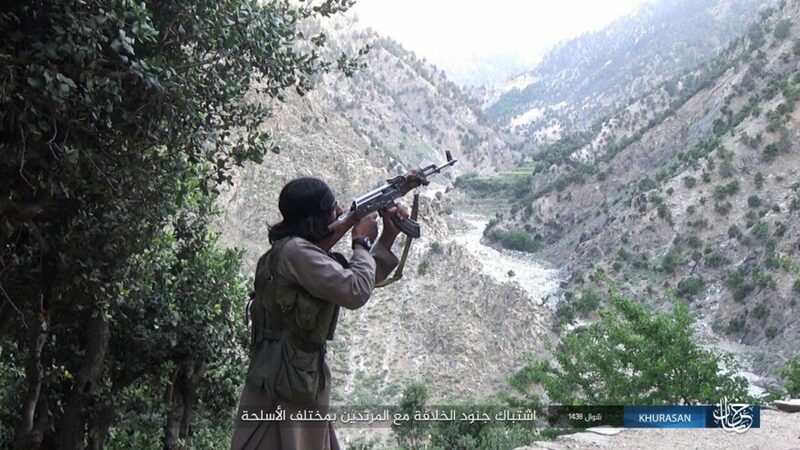 However, Wilayah Khorasan’s offensive in early June forced the Afghan government to respond after locals forged an alliance with the Taliban to fight the caliphate’s representatives. The Taliban is battling the Afghan government and its Western allies on multiple fronts throughout Afghanistan. 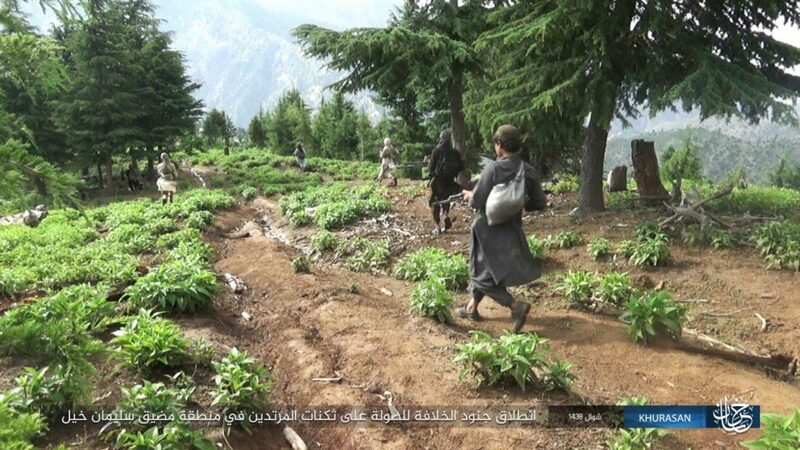 This allowed the Islamic State’s arm, which has far fewer fighters, to take advantage of a neglected front, as its enemies were preoccupied elsewhere. 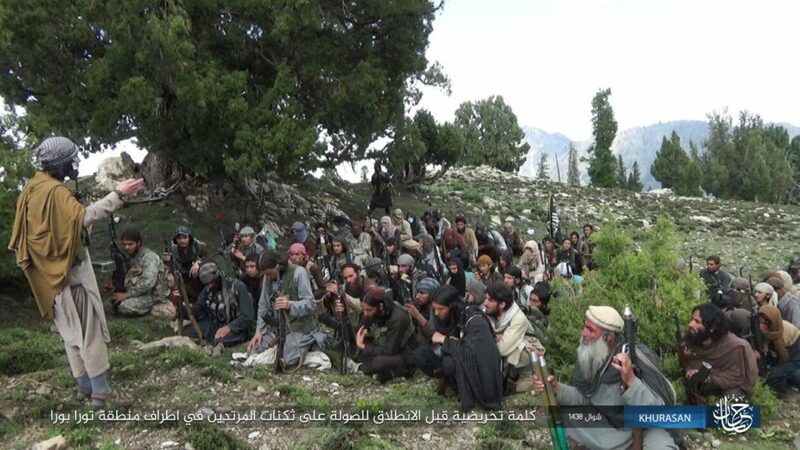 At first, villagers sided with the Taliban to push Wilayah Khorasan’s forces back in Tora Bora. The Taliban reportedly controls much of the area, but didn’t have enough men on hand to respond to the assault on its own. “We ask the government to support us, provide us with arms and equipment. 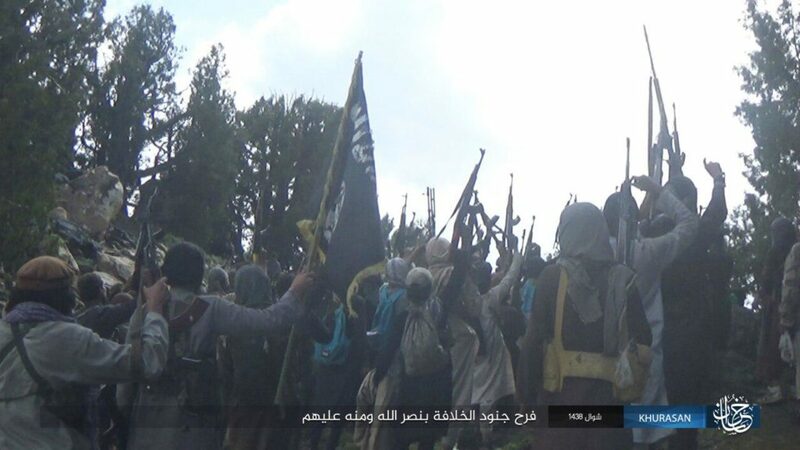 We will fight IS [Wilayah Khorasan] more effectively,” VOA quoted a “tribal elder” named Malek Sherzai as saying. 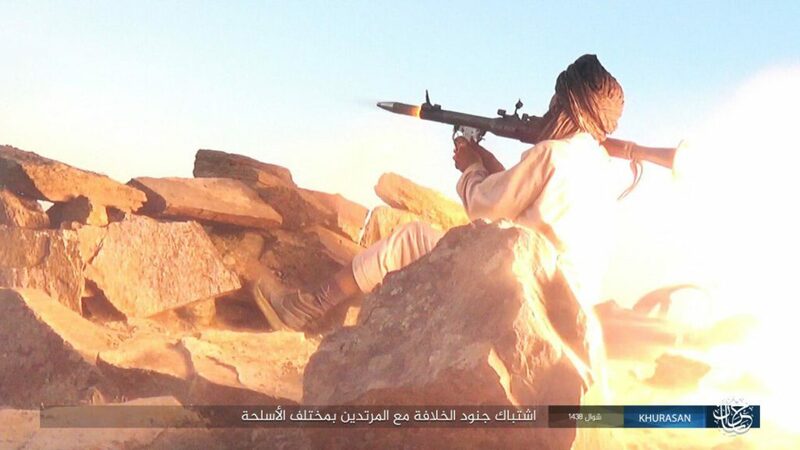 Meanwhile, the Islamic State continues to advertise its battles with the Taliban in Tora Bora and elsewhere. It makes for good propaganda, as the organization rejects the legitimacy of all jihadists who refuse to bend their knee to Baghdadi. 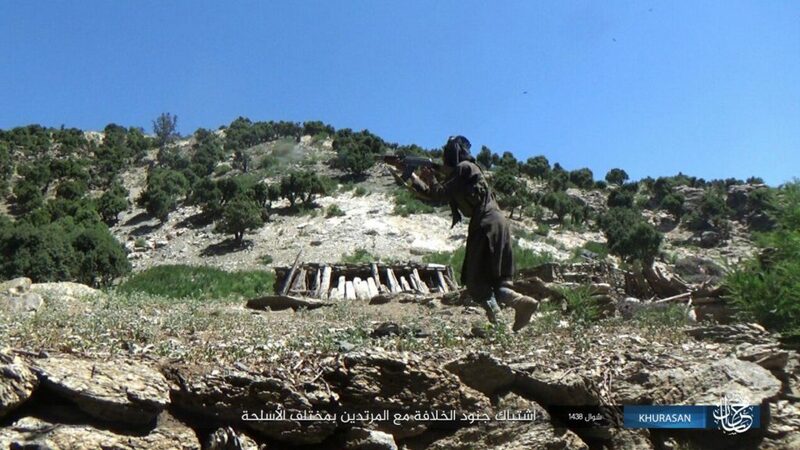 Yesterday, Wilayah Khorasan released a set of photos purportedly documenting an “assault” on “apostate Taliban positions…on the outskirts of Tora Bora.” Some of the images can be seen below. 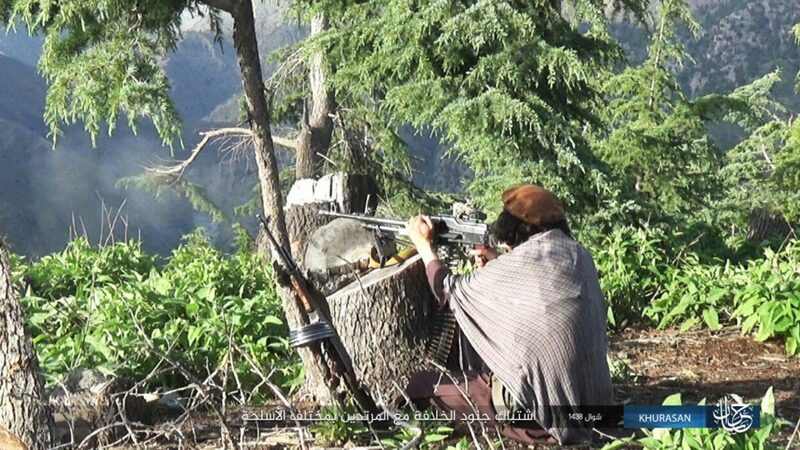 Wilayah Khorasan has repeatedly highlighted its fighting against the Taliban, even as it has lost ground in Nangarhar to US soldiers and their Afghan allies. As of early 2016, the group’s safe haven in the province consisted of approximately nine districts. But this was reduced to just three districts by the end of the year, according to the US military. Wilayah Khorasan has a much smaller footprint than the Taliban, but it is still capable of launching large-scale attacks in Afghanistan’s cities. And as the fighting in Tora Bora shows, it has also been able to take advantage of gaps in the complex, multi-sided Afghan war to suit its own purposes. 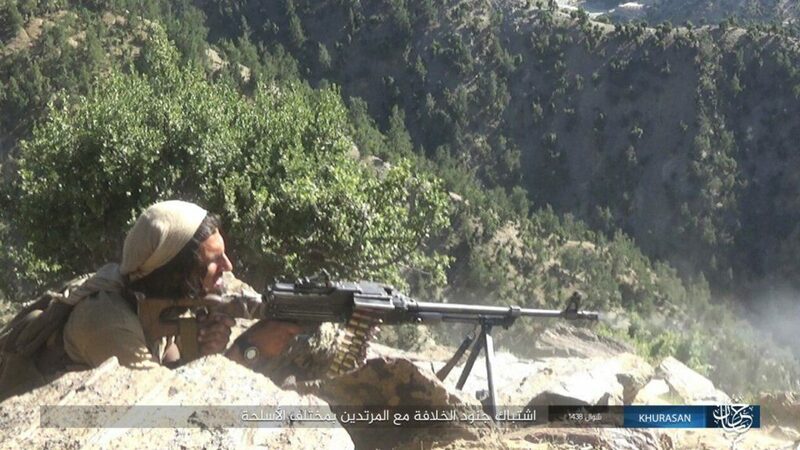 The Islamic State’s Wilayah Khorasan released the photos below purportedly documenting its battles with the Taliban near the Tora Bora Mountains. 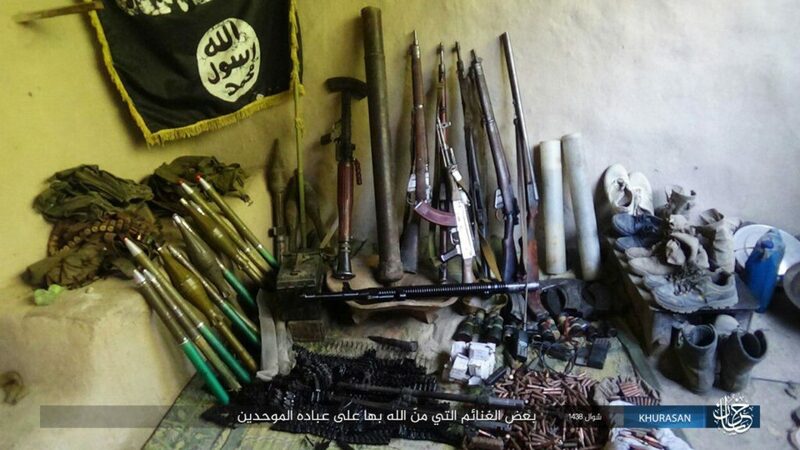 Some of the images show spoils recovered during its raids. Two photos of beheaded men are not reproduced, but were part of the original photo set. 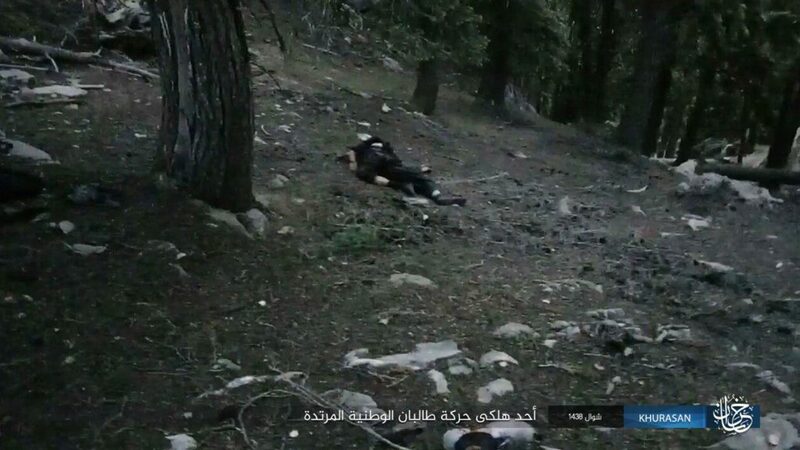 It’s possible that Islamic State has a different and broader concept of Khorasan, because IS claims to be a caliphate and in particular claims to be emulating Islam as it existed in the time of the early caliphs. Herat was known as the Pearl of Khorasan and I would expect it to figure prominently in IS-K plans for the future. The Islamic Movement of Uzbekistan has pledged fealty to IS, and the IMU has been active in both Afghanistan and Pakistan. So its footprint in the region is wider by proxy. Finally, it appears that the same individual appears in different clothes but wearing the same large, round-faced watch on the outside of his right wrist, in the sixth and eighth photographs; and possibly also as the leader standing in the first photograph. The watch is distinctive and I wonder which country or countries it is available in. Actually “Khurasan” appears in Arabic script (خراسان) in the calligraphy in the bottom right. That would appear to be Pahlavi. If it’s there, I confess I can’t make it out. There’s some sort of highly stylized calligraphy just to the right of “KHURASAN” (in the Latin Alphabet), but it doesn’t read خراسان whatever else it may read. In any case, the original point stands: why is it there?